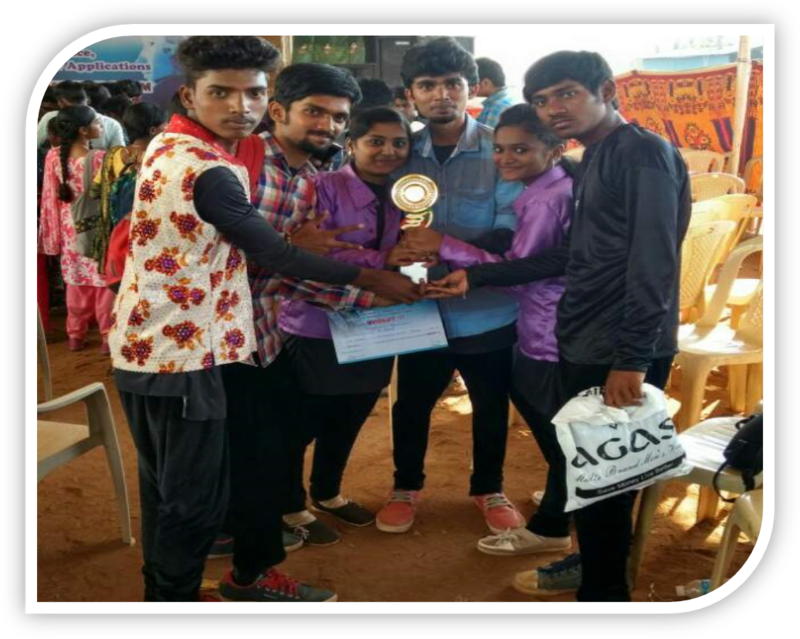 The Club students of our college clinched the Overall Trophy in the Inter-collegiate meet conducted by AJK College of Arts and Science on 8th and 9th March 2018. 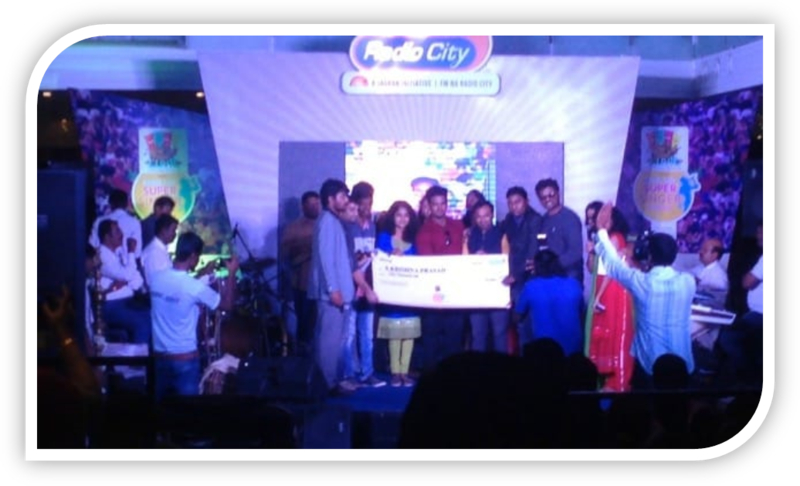 The Club student S.Krishna Prasad of II B.Com has won the title RADIO CITY SUPER SINGER SEASON’8 on 3rd of September 2016. Overall Trophy AJK College of Arts and Science. 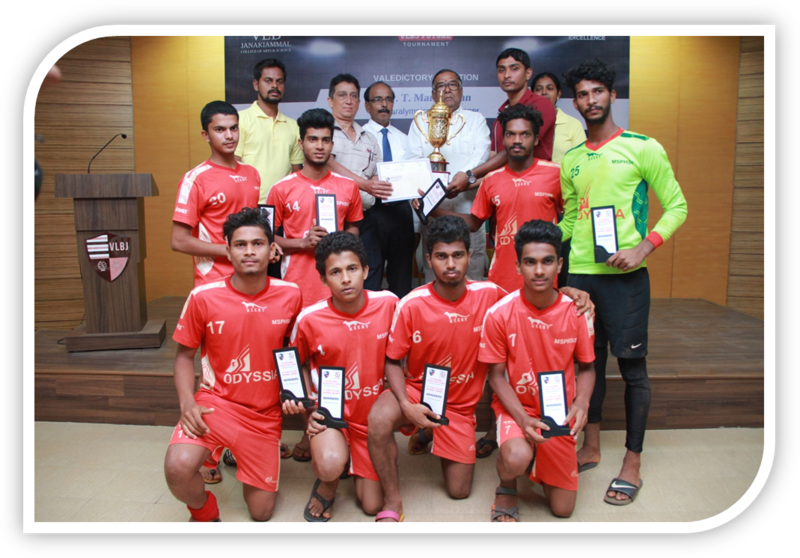 The club students of our college clinched the Overall Trophy in the Inter-collegiate meet conducted by AJK College of Arts and Science. 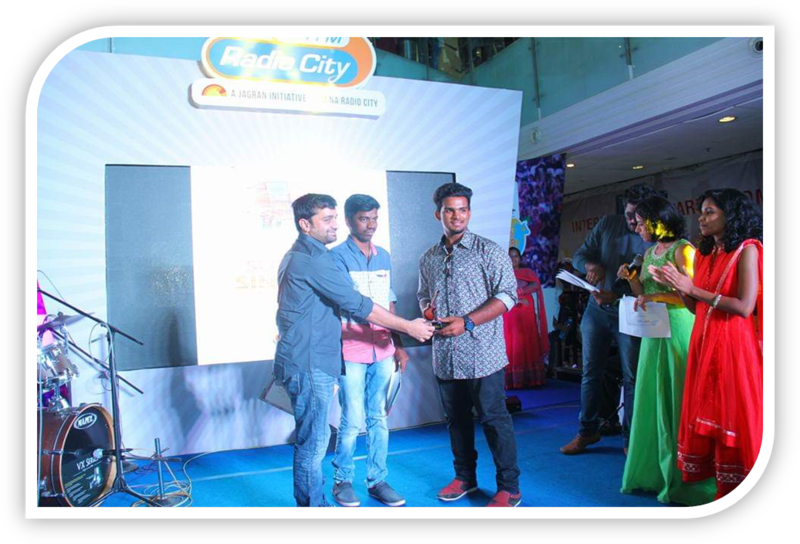 The club student R.Vishnu Prawin of I B.SC ECS won the fourth place in HELLO FM SINGARA SINGERS conducted by Hello FM on 17th of March 2018. NCC Officer Training - All India First in the year of 2000. 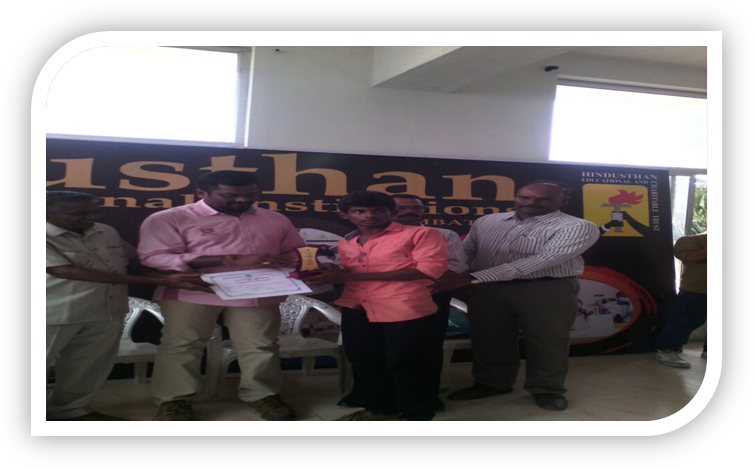 Vocational Excellence Award by Rotary Club of Tirupur Royals, Elite and Queen in the year 2015-2016. 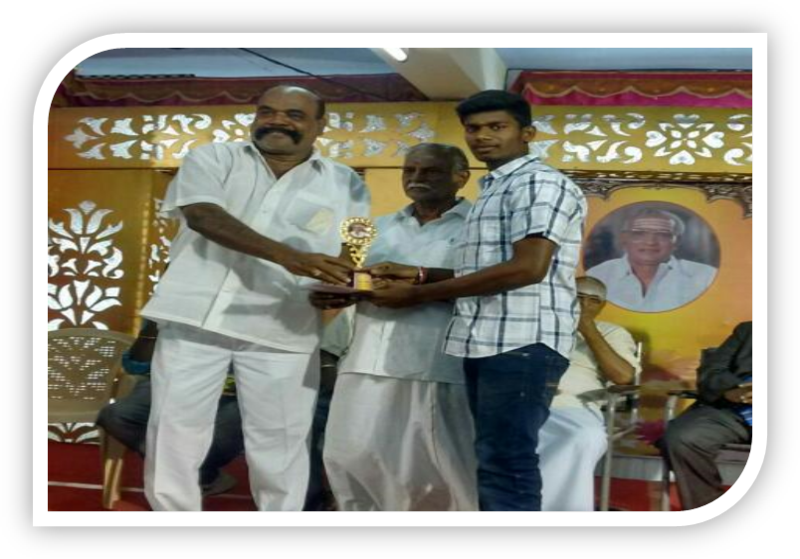 Nation Builder Award by Rotary Club of Tirupur Next Generation in the year 2016 -2017. 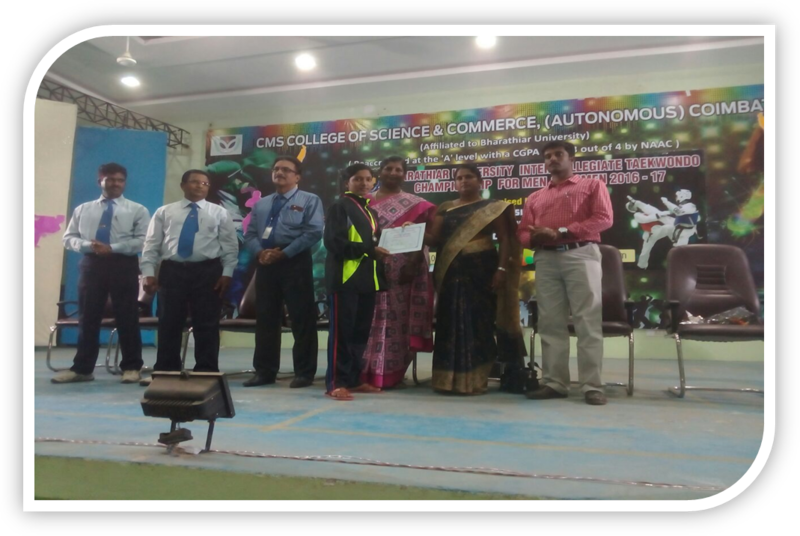 K. Vasudevan, HOD-Electronics/Associate Professor has won the Best Faculty C.V. Raman Award For Physical Science by Association of Self-financing Arts, Science & Management Colleges of Tamilnadu in the year 2017. 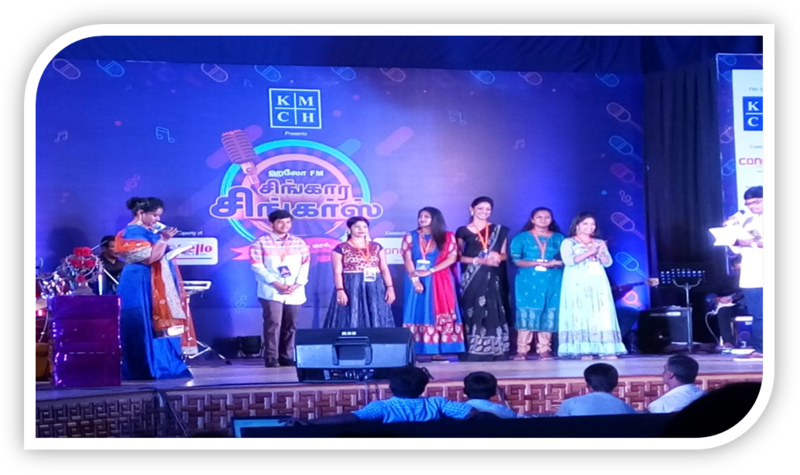 Jalajamani,HOD Hindi has won the" Hindi Sevi" Award by Milan Hindi Association of Coimbatore in the year 2018. 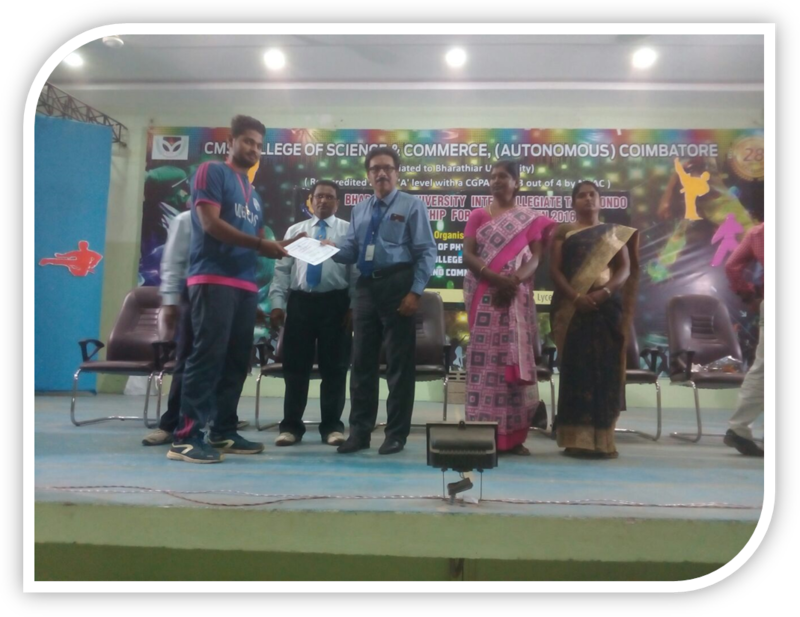 J. Ramkumar Assistant Professor has won “Best Teaching Faculty-2017” from Dr. Kalam Educational Trust for Tribal, Chennai. 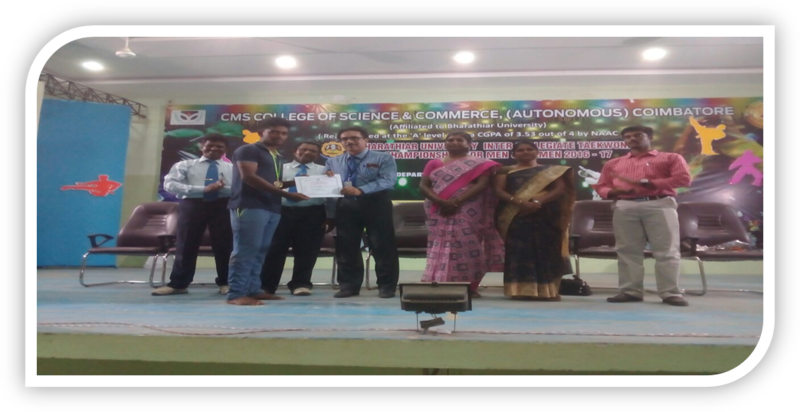 S.Samson Dinakaran Assistant Professor has won the Best Teacher in Computer Science by RULA International Award in the year 2018. 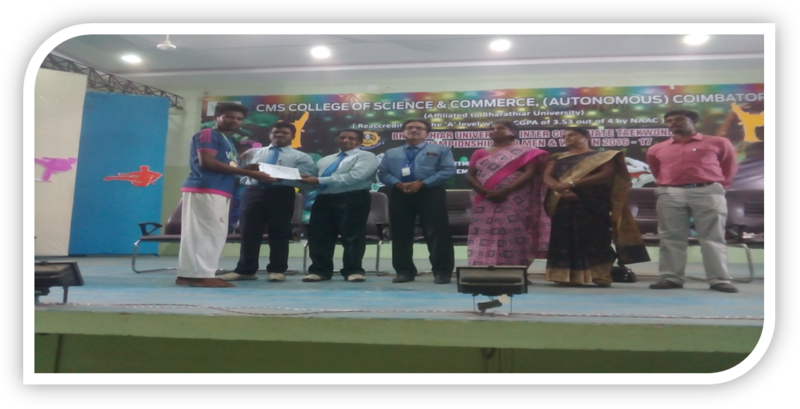 D. Antony Arul Raj Assistant Professor has won the Best Teacher Award - 2014 from Akshaya College of Management. S.Sharmila Assistant Professor has won the “Distinguished Faculty Award” from Indo Global Chamber of Commerce, Industries and Agriculture (IGCCIA), Pune (2016-2017). 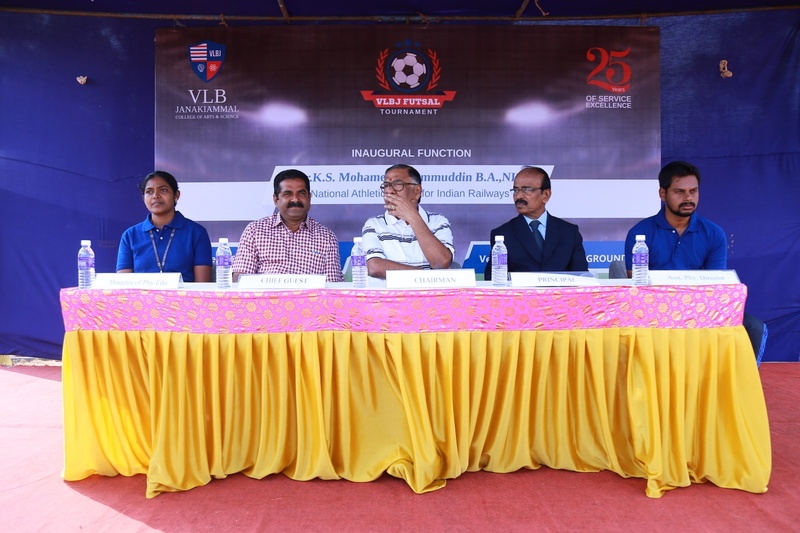 An Inter Collegiate "Chess Tournament" was conducted by Bharathiar University from 29.09.2016 to 01.10.2016 at Dr.RVR CAS, Karamadai. Our students were the Runners. 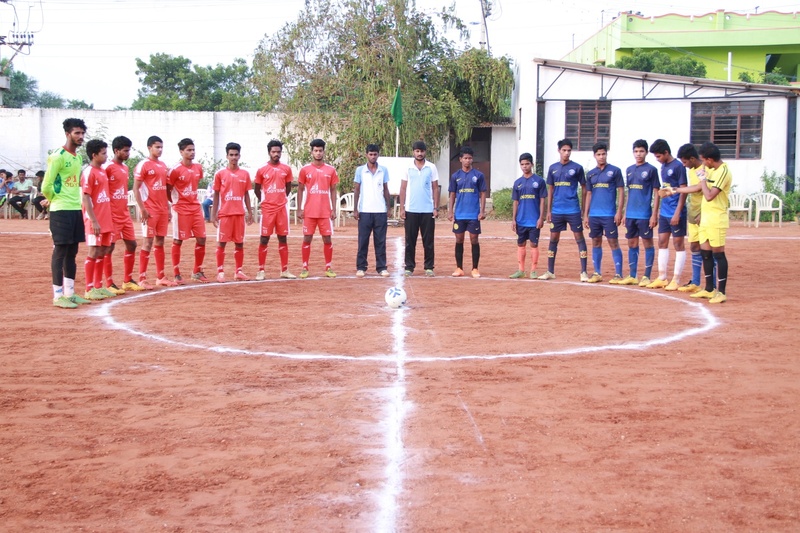 Kovaipudur 5’s Football Tournament – 2016 was conducted from 01.01.2016 to 03.01.2016 at Kovaipudur ground. Our students were the winners. 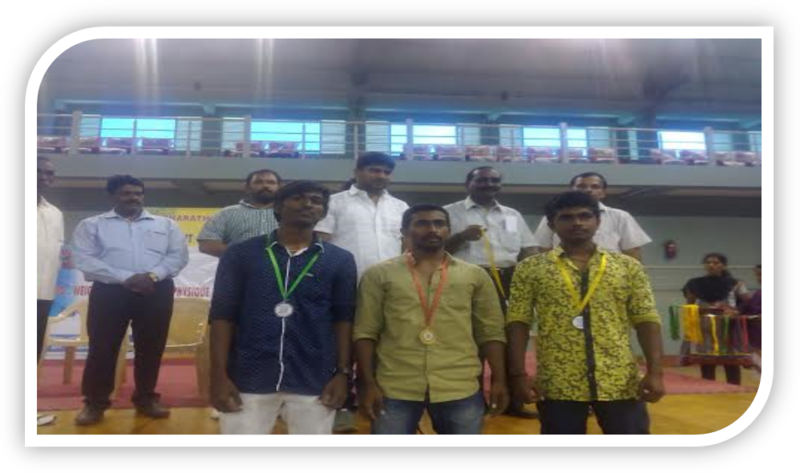 An Inter Collegiate Weight Lifting Tournament was conducted by Bharathiar University on 15.12.2015. 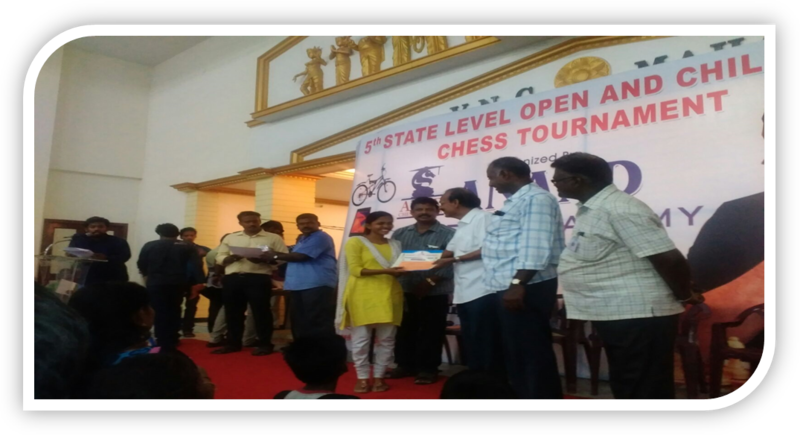 Fifth State Level Open Chess Tournament was held at Karur, on 5th & 6th September, 2015. 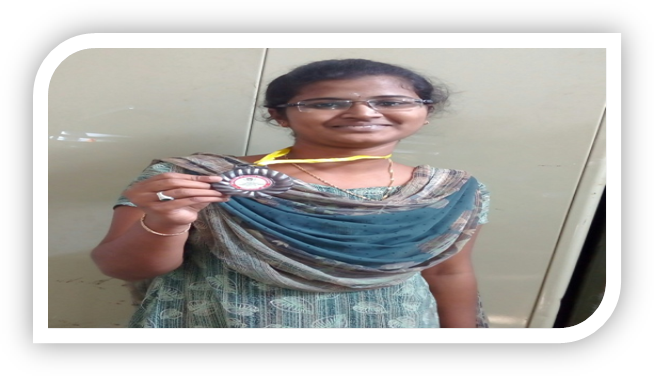 R.S.SOUNDARYA of I M.COM won the Second place. 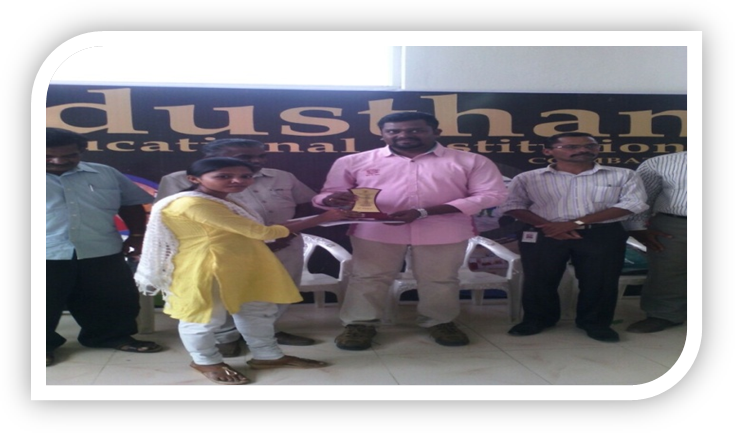 S. ATHISH of I BBA won the Fifth place. 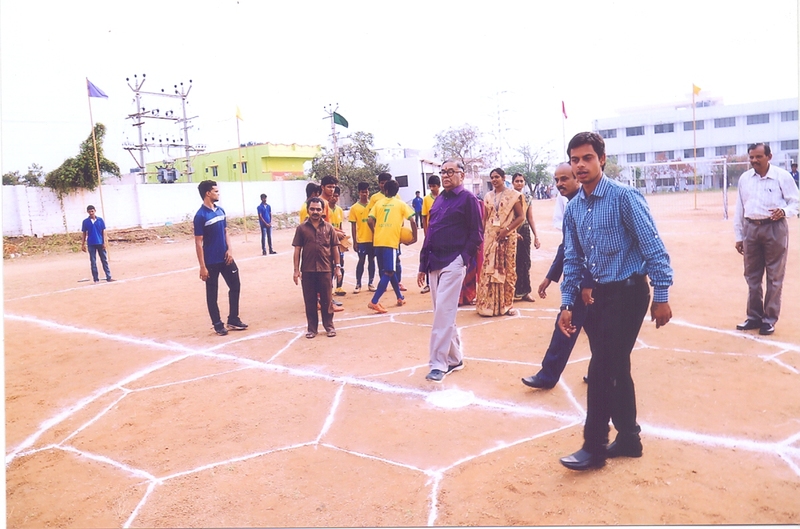 R.DHAMODHARAN of I M.COM won the Sixth place. 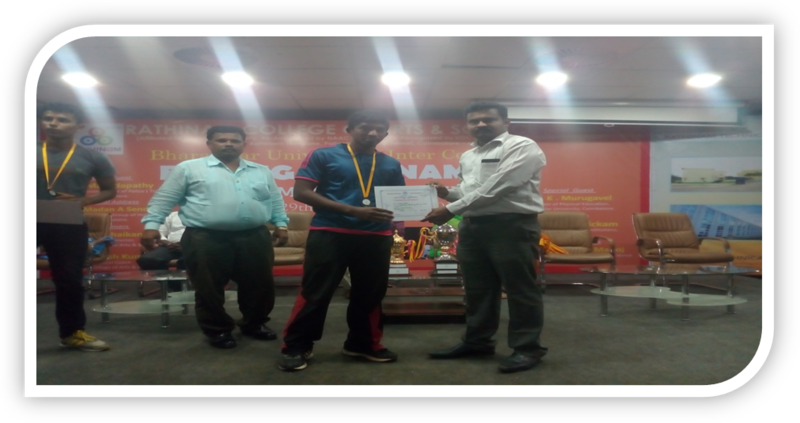 Naveen.M of II B.Com CA won the Fourth Place in Tamil Nadu State Bench Press Championship on 11.10.2015 at Ramanathapuram, Coimbatore. 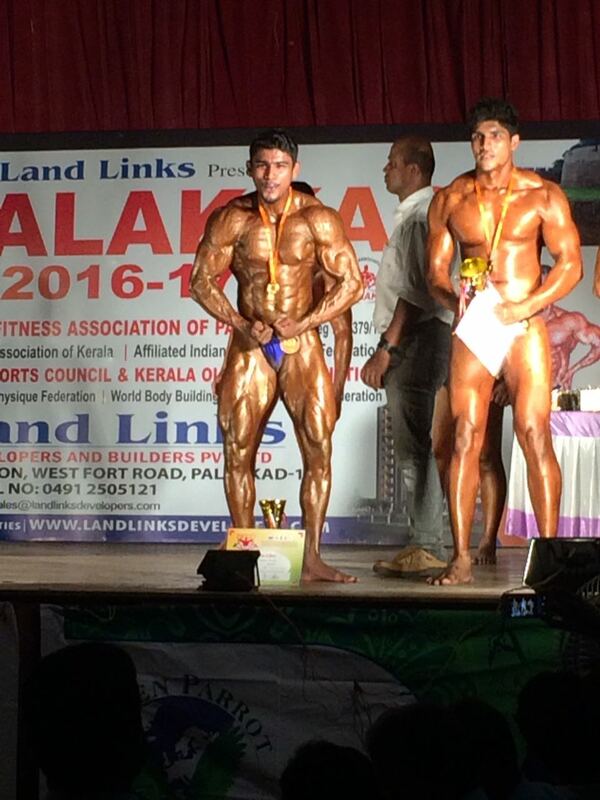 K.Dinesh Kumar of I MBA was titled as Best Physique & Mr Palakkad-2016 on 27th November 2016 @ Palakkad. 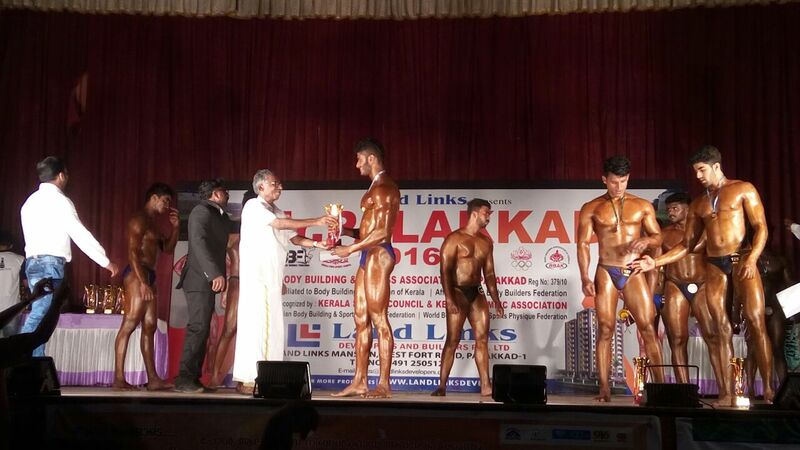 S.Ajith Nandan of I BBA won the First Place under 75 Kg Category in Mr.Palakkad Competition held on 27th November 2016 @ Palakkad. 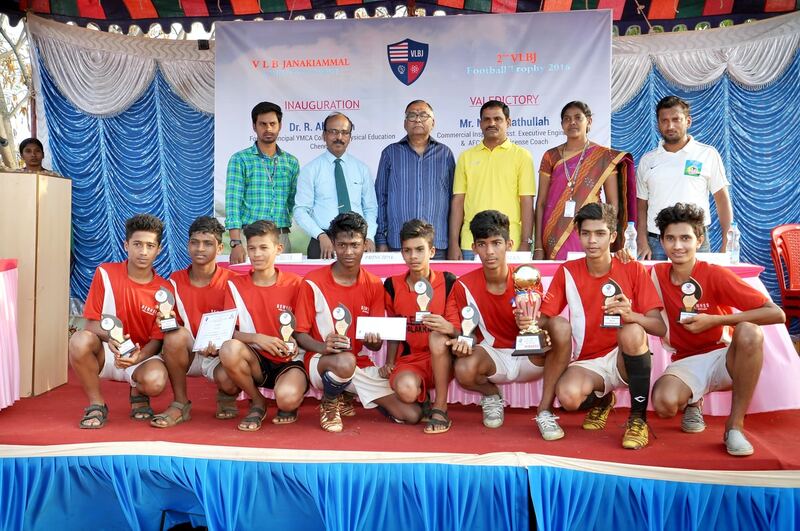 The 1st VLBJ Football Trophy was held on 8th & 9th January 2015. 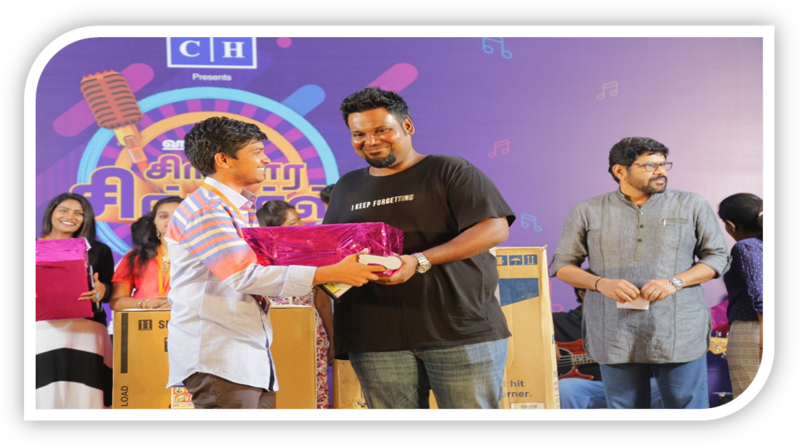 The First Place was bagged by Karunya Residential International School. 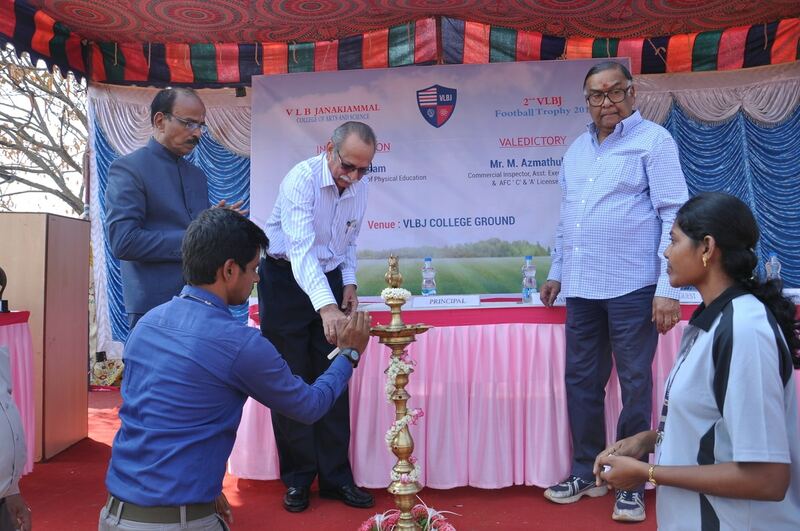 The 2nd VLBJ Football Trophy was held on the 11th & 12th February 2016. 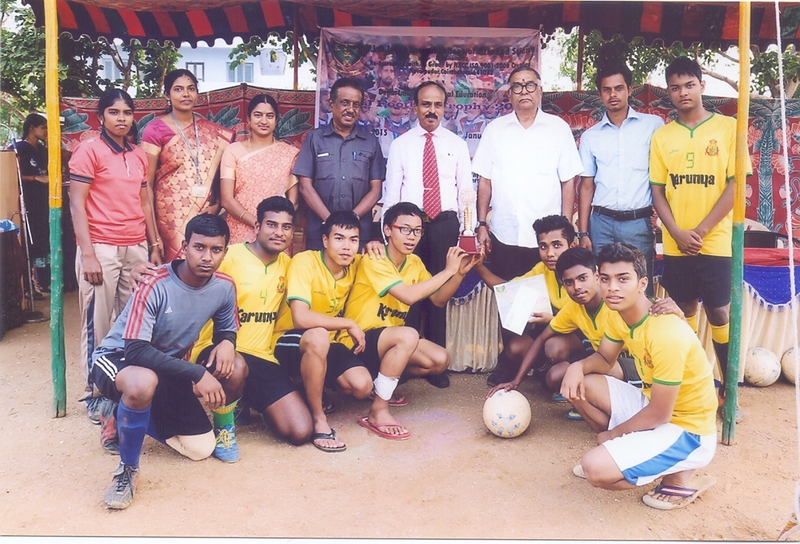 The First Place was bagged by BEM Higher Secondary School, Palakkad. 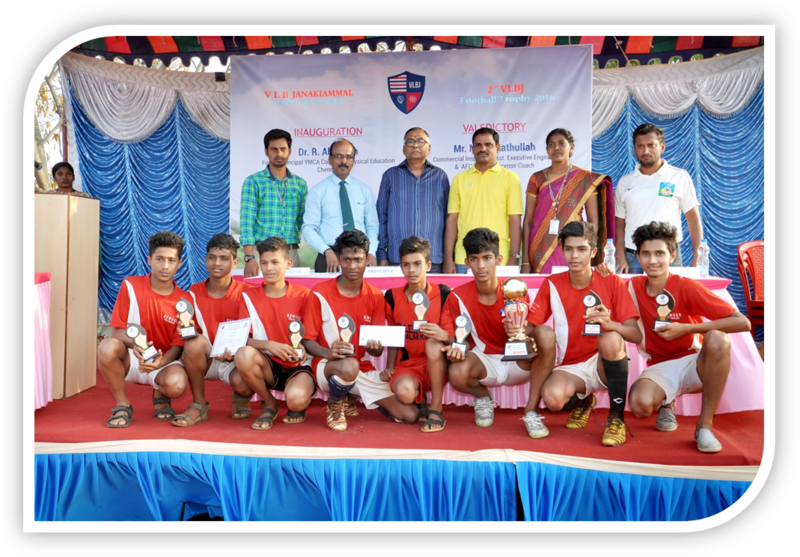 The 3rd VLBJ FUTSAL Tournament was held on 18th & 19th November 2016. The First Place was won by M.S.P. 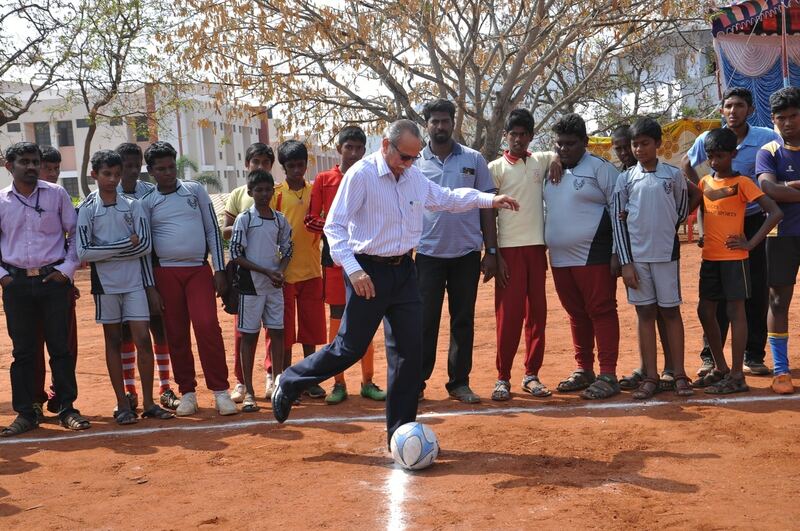 Higher Secondary School, Malapuram. 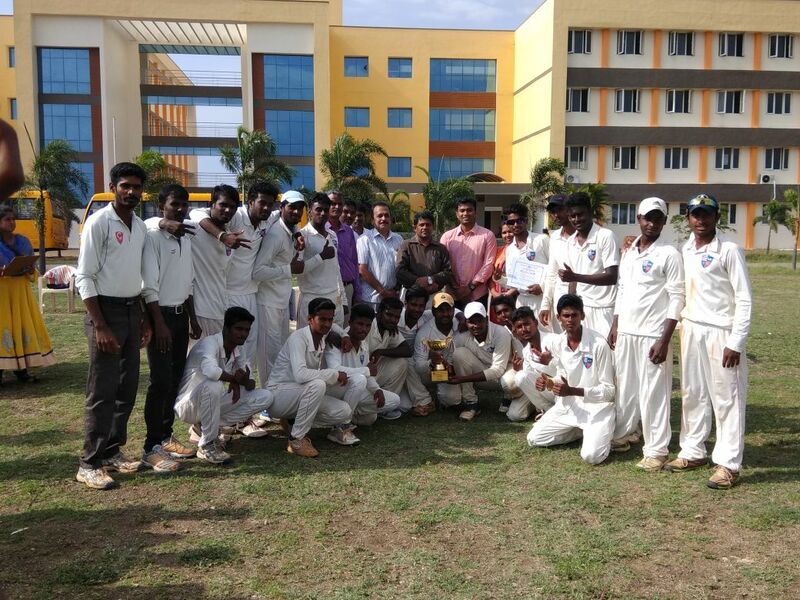 The Cricket Team of our College were the “Runners” of SNS T20 Premier League-2014 held on 30th May 2014 at Dr.SNS Rajalakshmi college of Arts and Science. 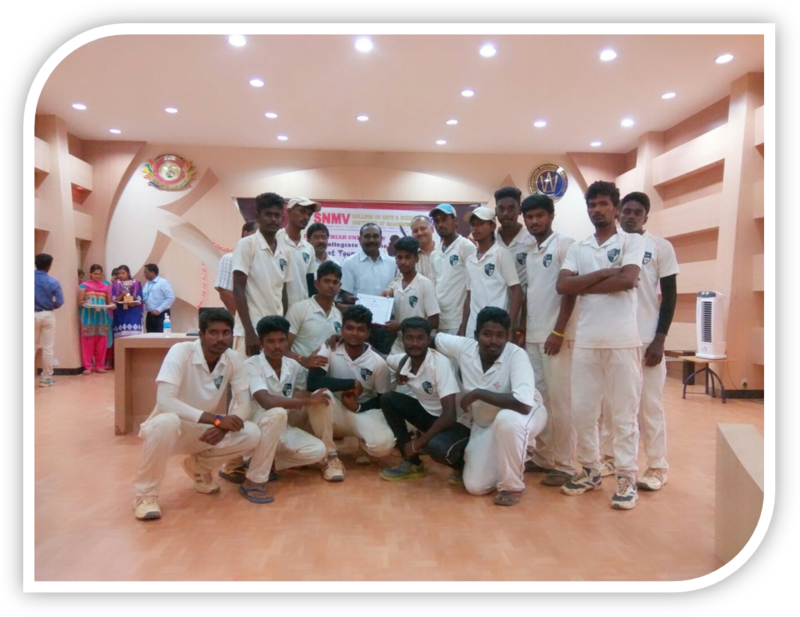 The Cricket Team of our College participated in the “Bharathiar University Inter Collegiate ‘C’ Zone Cricket Tournament” held on 7th September 2017 and won the First Place. 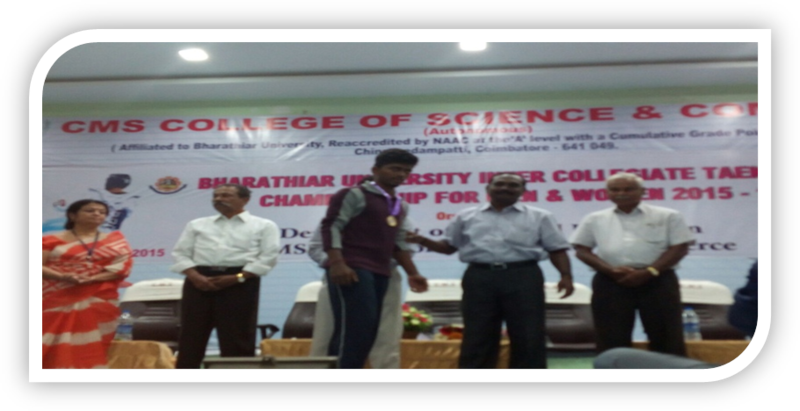 K.Dinesh Kumar of III B.Sc(ECS) won the First Place under 70 kg category & was awarded with Mr.Bharathiar University Award in the Bharathiar University Inter-Collegiate Weight Lifting & Best Physique Competition held on 16th December 2015 @ Bharathiar University. 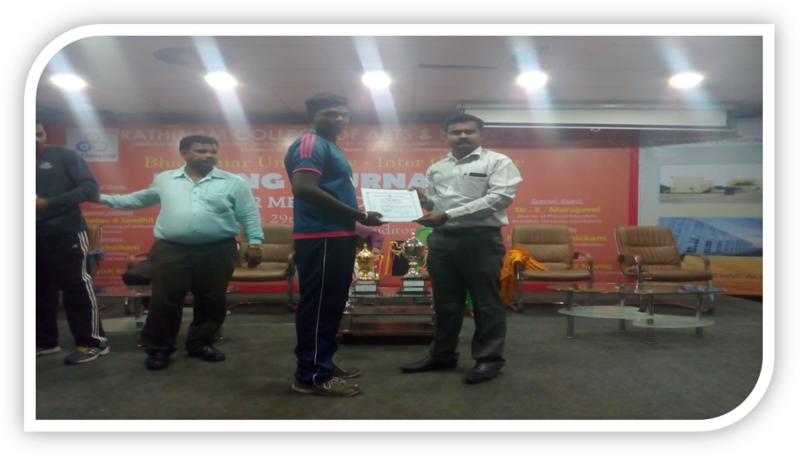 R.Nitish of II B.Com(CS) won the First Place under 65 kg category in the Bharathiar University Inter-Collegiate Weight Lifting & Best Physique Competition held on 16th December 2015 @ Bharathiar University. 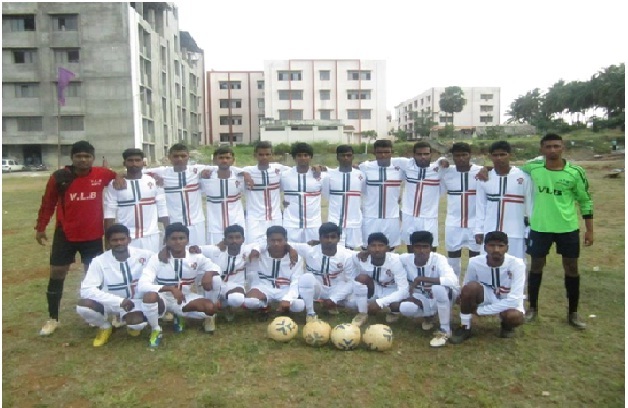 The Football Team of our College won the Second Place in the Bharathiar University Inter-collegiate Football ‘C’Zone Tournament held from 19th to 21st August 2013 at Sri Narayana Guru College of Arts and Science. 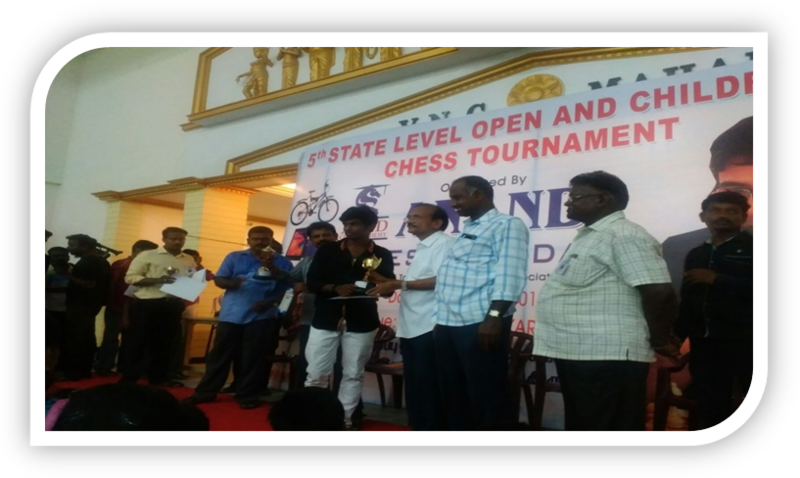 Bharathiar University conducted an Inter Collegiate Chess Tournament from 29.07.2015 to 31.07.2015 at Hindusthan College of Arts and Science. John Christopher of I MBA won the Fourth place. 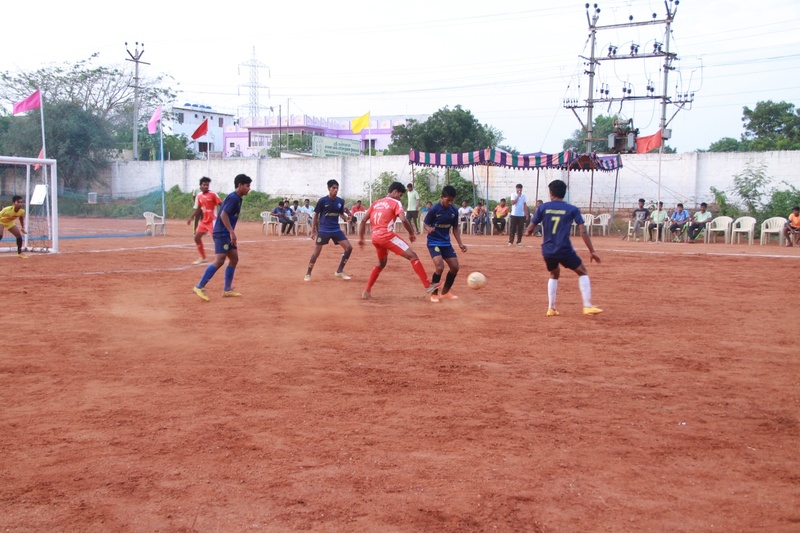 Dhamothran of I M.Com won the Sixth place. Soundarya of I M.Com won the Fifth place. Athish of I BBA won the Eighth place. 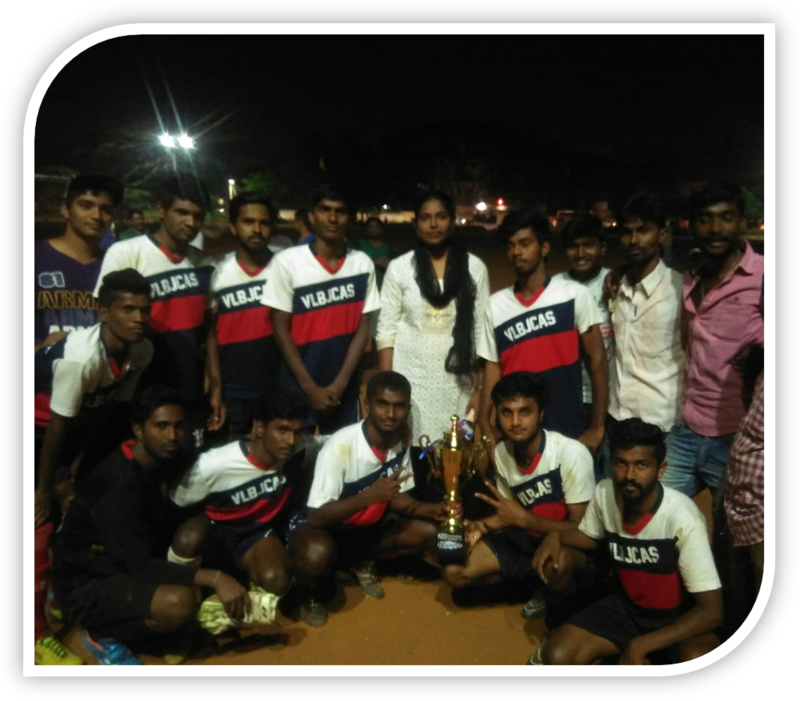 Bharathiar University conducted an Inter Collegiate Taek Wondo Tournament on 06.10.2015 & 07.10.2015 at CMS College of Arts and Science. 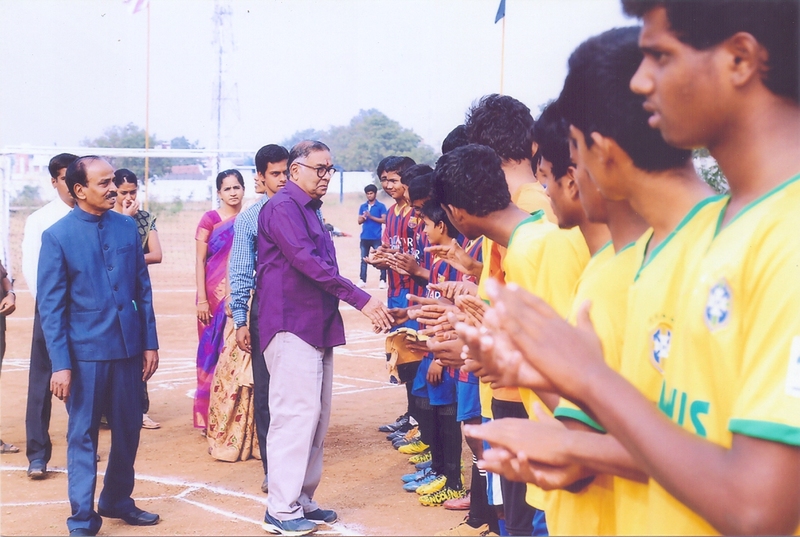 Mathan Kumar. J of I B.Com CA won the First place. 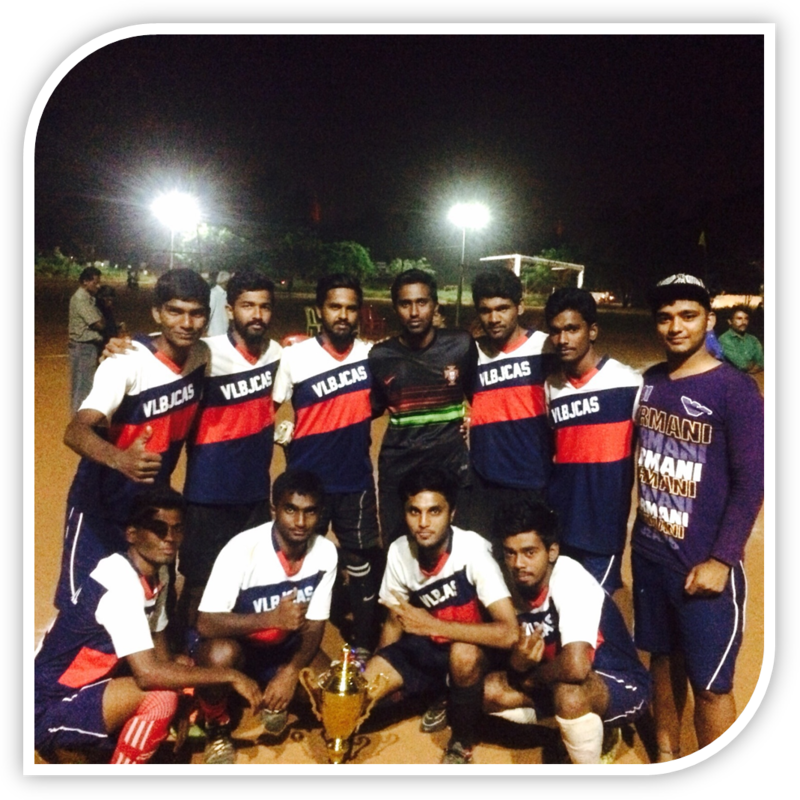 Mathanki of III B.Com ‘CS’ won the Third place. 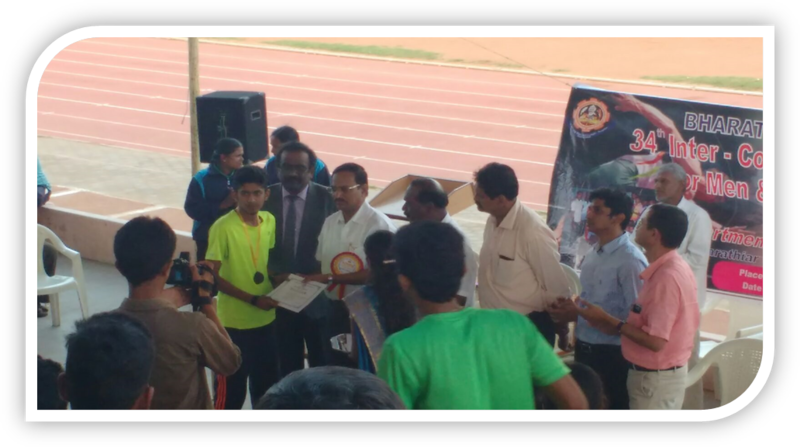 Bharathiar University conducted an Inter Collegiate Hurdles Tournament from 09.12.2015 to 11.12.2015 at Nehru Stadium. 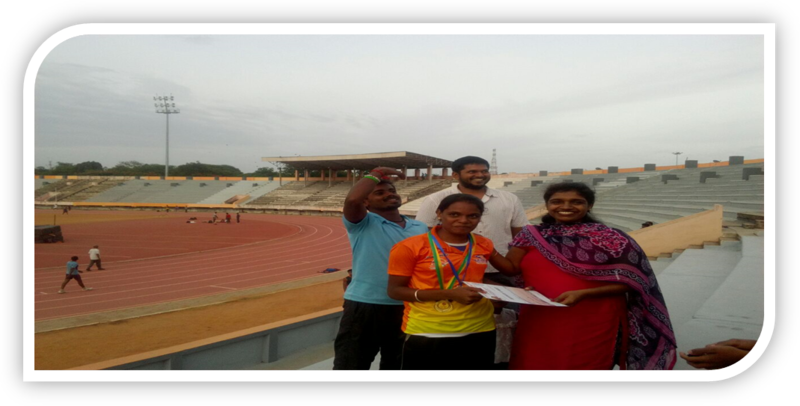 K. Akilesh won the 400Mts Hurdles and secured Third place. 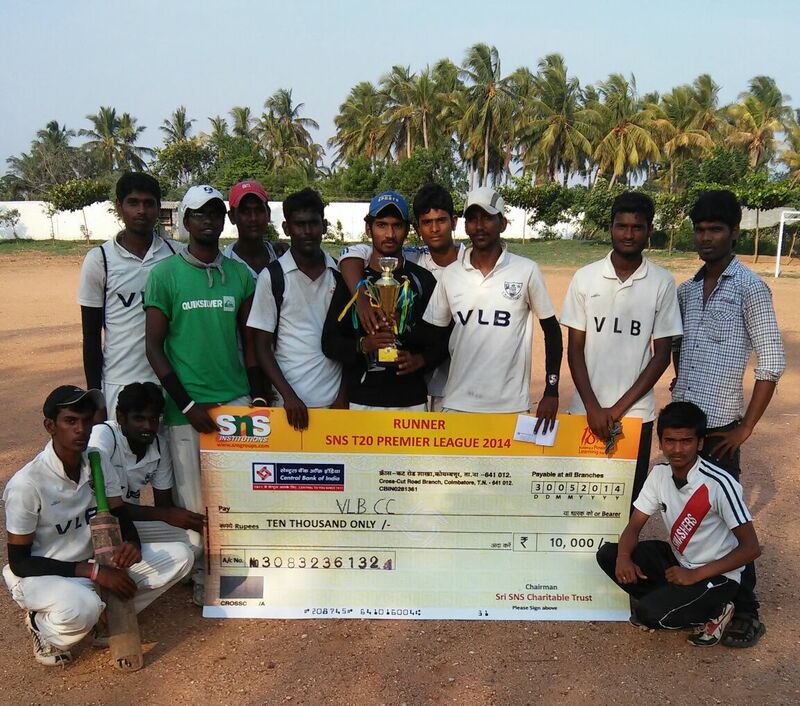 Bharathiar University conducted an Inter Collegiate ‘C’Zone Cricket Tournament from 19.09.2016 to 29.09.2016 at SNMV CAS and secured the Third place. 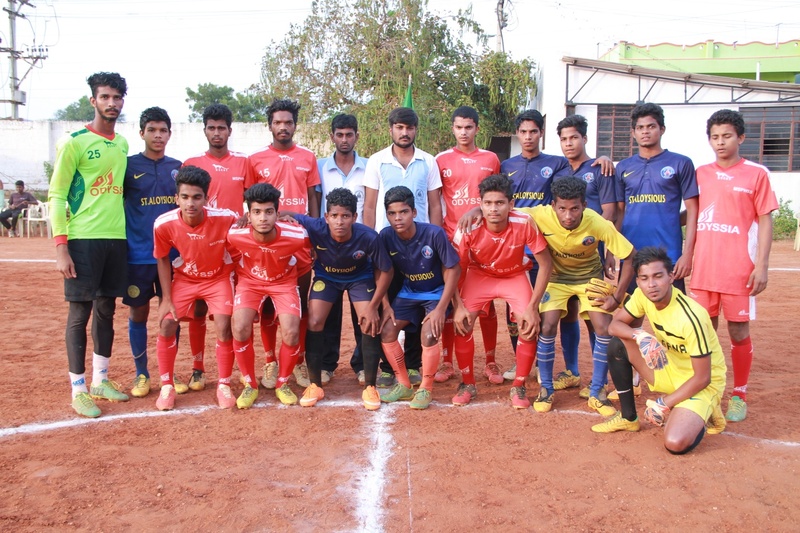 Bharathiar University Inter Collegiate "Boxing Tournament"
Bharathiar University conducted an Inter Collegiate "Boxing Tournament" on 29.08.2016 & 30.08.2016 at Rathinam College. 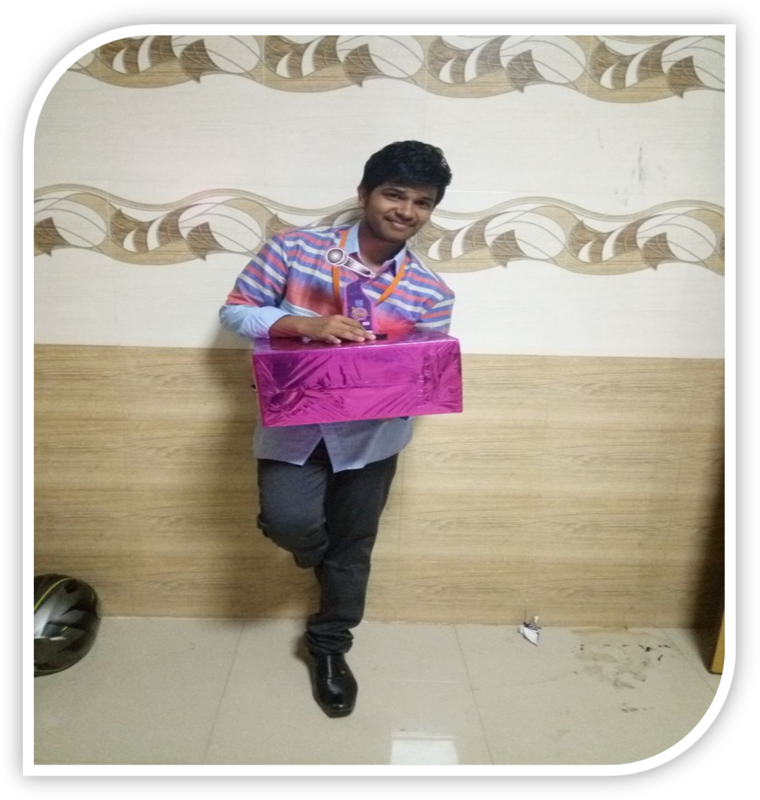 M.Arun Kumar of I BCA won the First place. 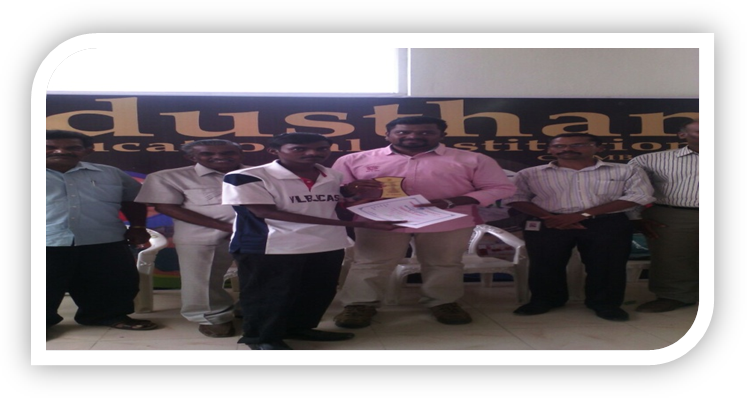 S.M.Surya Prabhu of II B.Com PA won the Third Place. 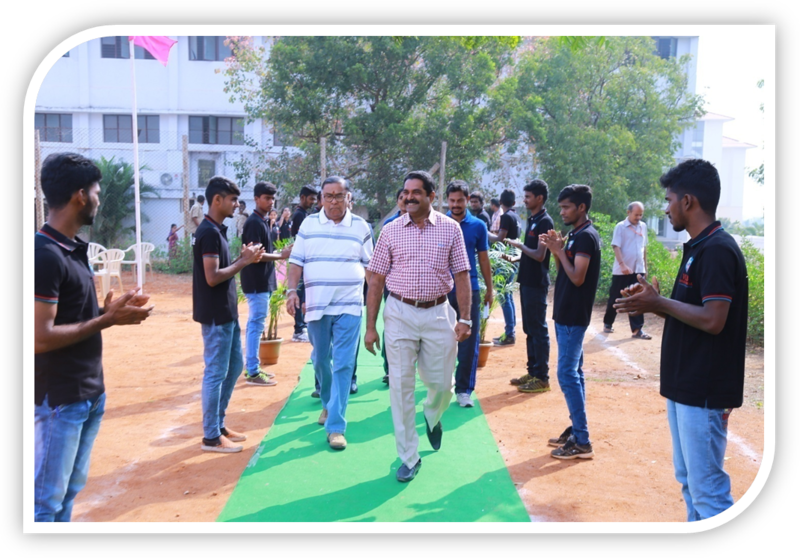 Bharathiar University conducted an Inter Collegiate Taekwondo Tournament on 29.01.2016 & 30.01.2016 at CMS College of Arts and Science. Our students were the runners. 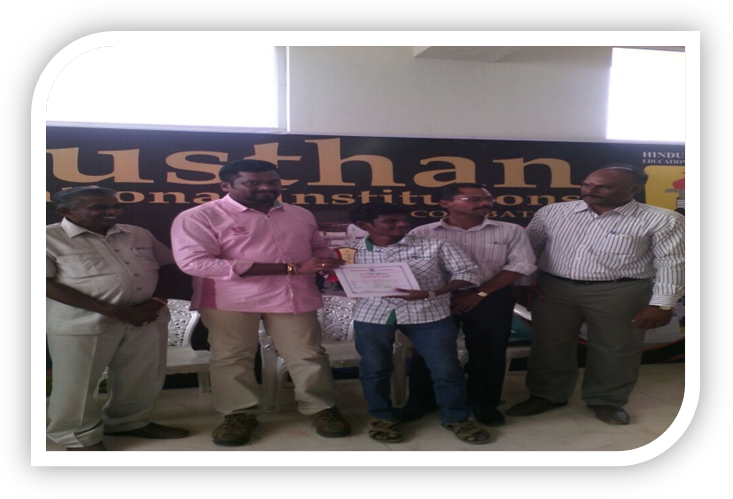 J.Mathan Kumar of II B.Com- A won the First place in 58 kgs. 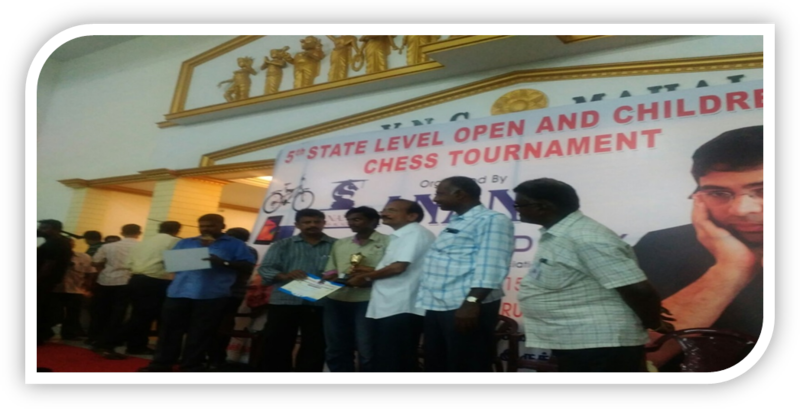 C.Vignesh of I B.Com CS won the First place in 68 kgs. 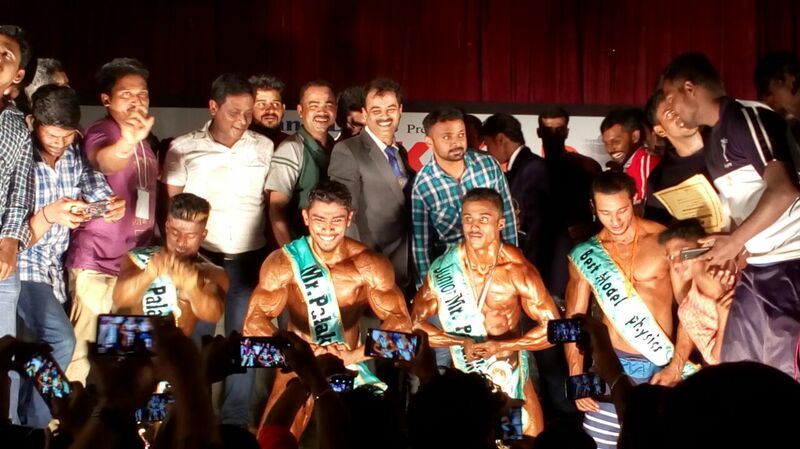 H.Sidique of II B.Com- IT won the Second Place in 87 kgs. G.Hamsaveni of I BBA won Third place in 53 kgs. 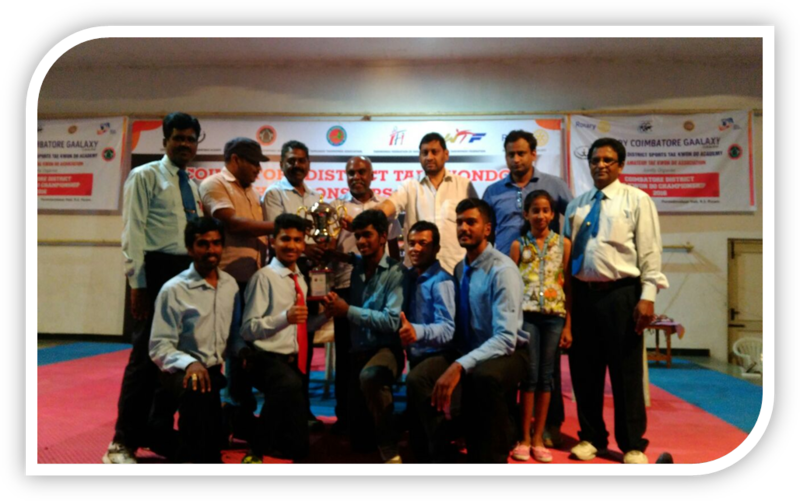 Coimbatore District Taekwondo Championship was held on 13.08.2016. 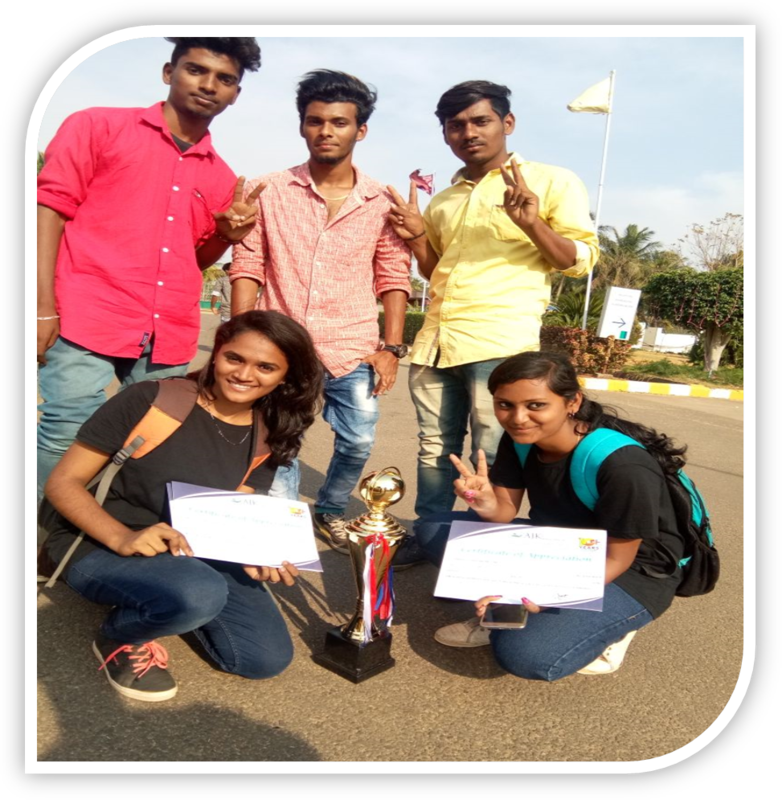 Our students were the Winners. 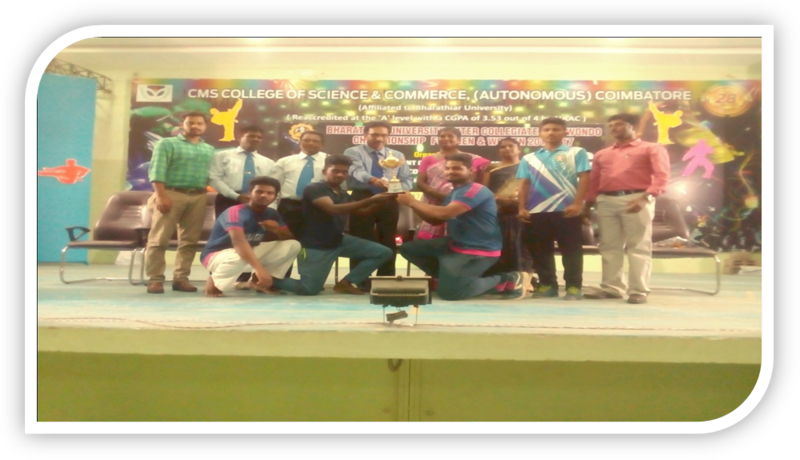 An Inter Collegiate Best Physique Tournament was conducted on 06.01.2017 at Bharathiar University. 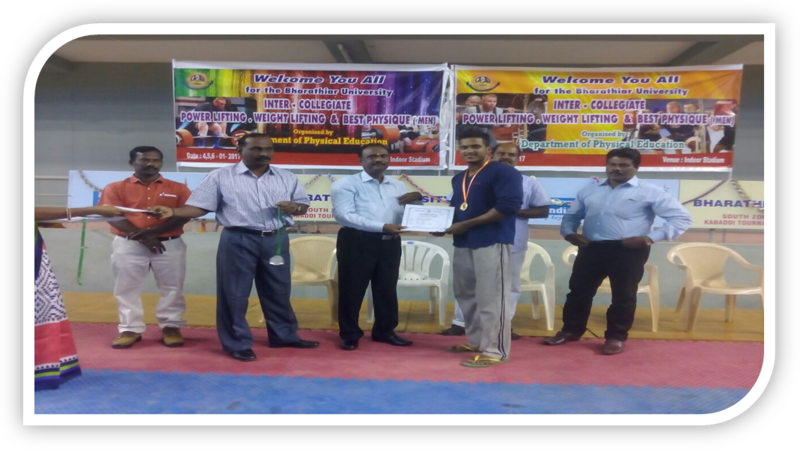 K.Dinesh Kumar of I MBA won the First place in 85 kgs. 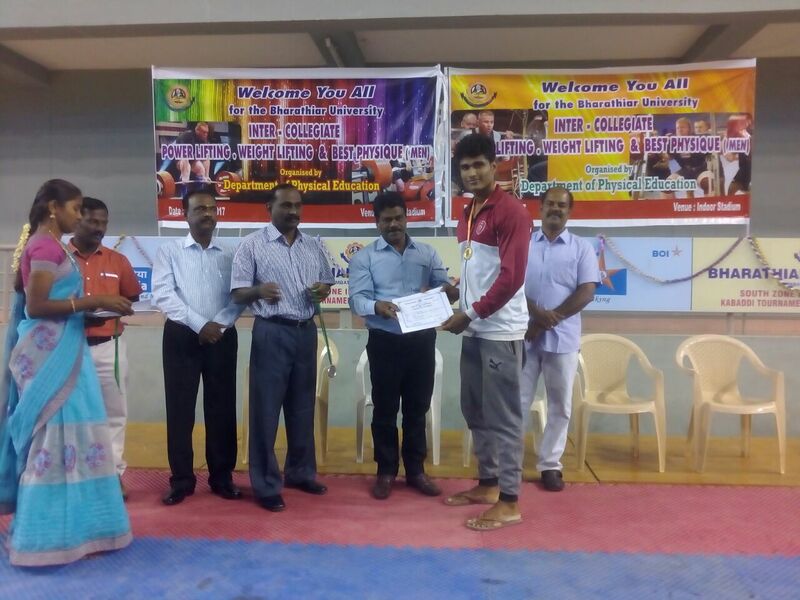 T.Benedict of I M.Sc ECS won the First place in 75 kgs. 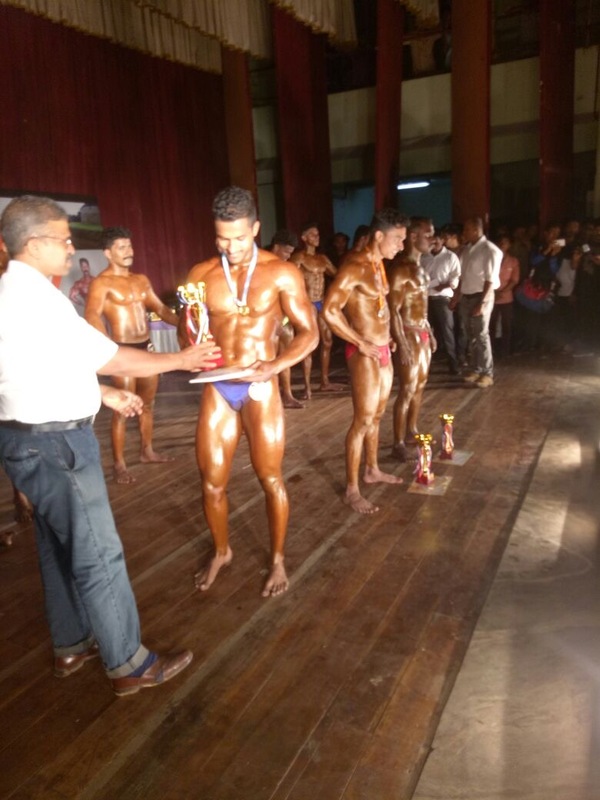 S.Ajith Nandan of I BBA won the First place in 90 kgs. 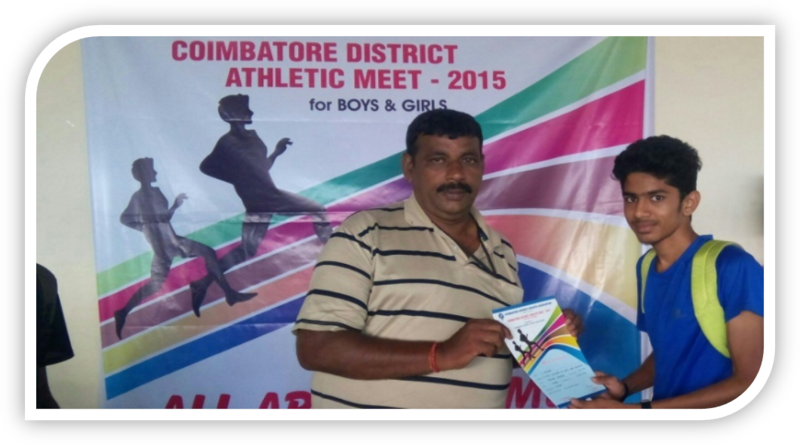 57th Coimbatore District Athletic Meet was held on 21.07.2016 & 22.07.2016. 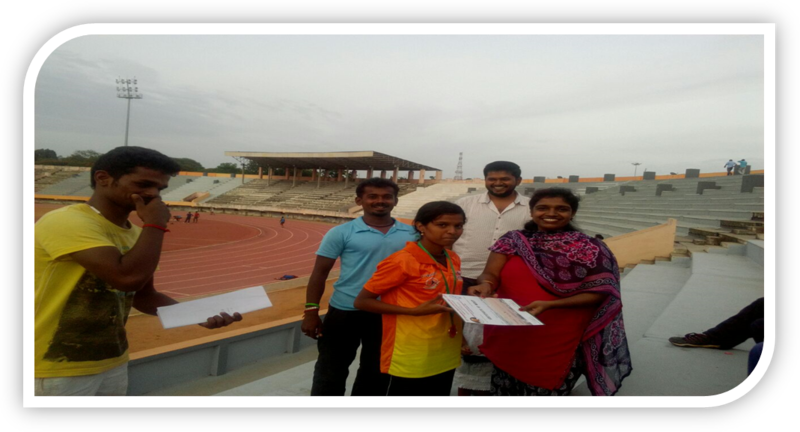 G.K.Deepika of I BBA won the Second place in Long Jump and she also won Third place in 800 mts. 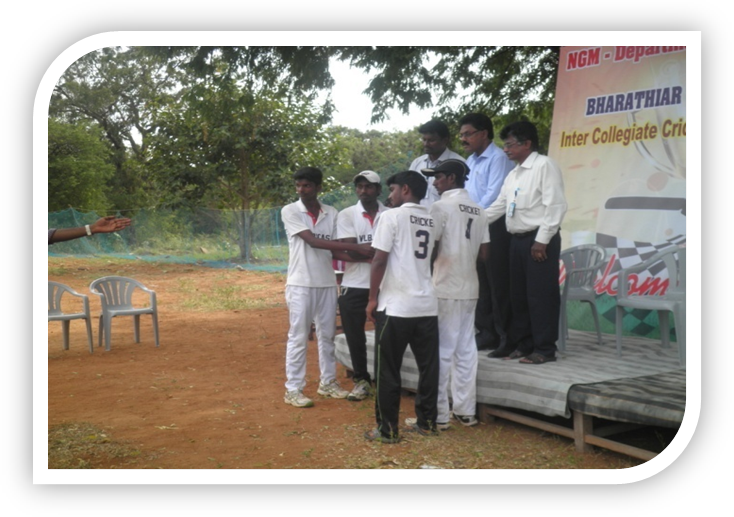 S.Tharani of I BBA won the Third Place in Long Jump.